Starting in 1843, Dr. John Westerfield promoted speakers in mesmerism, phrenology, trance speaking, healing, clairvoyance, and spirit contact at his newly built Union Hall in Anderson, Indiana.Members of “scientific investigation societies” were welcomed to these public meetings. 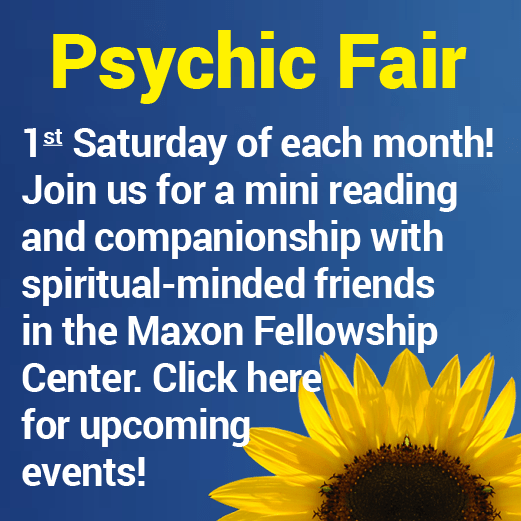 In 1848, many of these same societies became Spiritualists when Andrew Jackson Davis in his New Harmonial Philosophy dictated while in the trance state, and the rappings of the Fox sisters brought the immediacy of psychic phenomena to the American public. These two groups combined to create the philosophical and phenomenal content of the newly named Modern American Spiritualism. In 1855, seven years after Spiritualism was named, John and Mary Ellen Bussel Westerfield saw their only child, John, Jr., pass to spirit at age 14. In their grief they turned to the comfort of mediumistic contact with their son. This was the catalyzing experience of their conversion to Spiritualism. The presentation of Spiritualist speakers and workers continued rigorously at Union Hall and home séance circles became part of the routine of daily life. Trance mediums, healers, psychic spirit artists, and trumpet and materialization mediums were developed all over Indiana. Along the White River in this area, media, as they were called, were soon at work in Muncie, Anderson, Yorktown and Daleville; and to the north in Alexandria and Fairmount. Media were also found in Fishersburg, Noblesville, Westville, extending west to Lebanon, Darlington and Crawfordsville. Many old mystic and investigative societies were converted. The Quakers were well known to John Westerfield and during the Civil War years some new Friends groups were affiliated with John’s stance of anti-slavery. Spiritualist speakers such as Amelia Colby Luther, Cora Richmond, Moses and Mattie Hull, Wallace Hibbits and many others spoke out against slavery. Indiana Quakers of this persuasion became leaders in the very dangerous Underground Railroad for fleeing slaves. In this immediate area a tunnel was dug from a barn basement to come up some distance away under a woodpile. Later in the 1870’s a fine old Italianate home was built with the tunnel opening under the front parlor floor. Upstairs, this family sat in a small, specially created room for home séances. 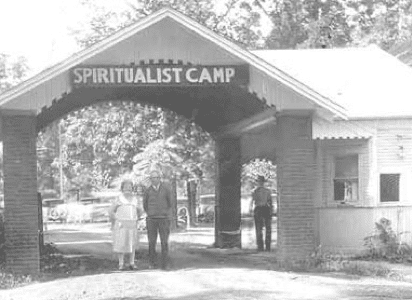 In 1883, Dr. and Mrs. Westerfield and a group of like-minded friends journeyed to a new Spiritualist camp called Frazier’s Grove near Vicksburg, Michigan. This visit inspired them to found an Indiana Association of Spiritualists and to set about seeking a location for a camp. In 1886, John Westerfield called a mass meeting of Indiana Spiritualists and the Indiana Association of Spiritualists was formed. They elected officers for 1887 and have been meeting steadily for over 130 years. In 1890 they held a grove meeting on the banks of the White River and in 1891 opened Camp Chesterfield on the same spot. Carroll and Emily Bronnenberg owned the land at that time and made the camp site possible by selling it to the new Association. They and many members of their family were Spiritualists from the earliest days of the movement, and Carroll and Emily were charter members of the Indiana Association of Spiritualists. They were also the builders of the Italianate home whose front parlor covers the opening of the Underground Railroad tunnel which was connected to the original Bronnenberg farm barn. Listen to a short introduction about Camp Chesterfield provided by the Indiana Public Broadcasting Stations. A Moment of Indiana History is a weekly two-minute radio program exploring Indiana History. The series is a production of WFIU Public Radio in partnership with the Indiana Public Broadcasting Stations (IPBS).